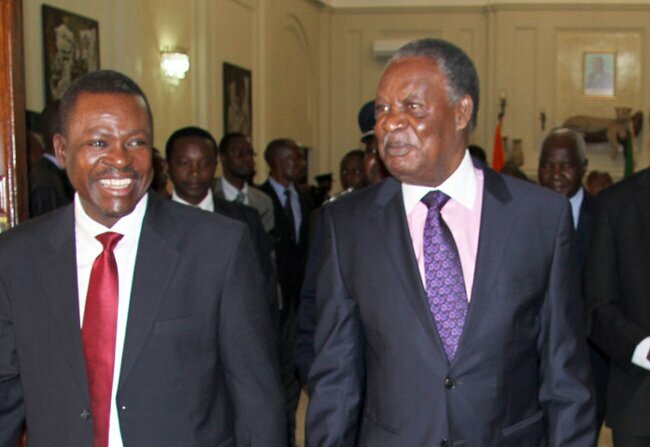 PRESIDENT Michael Sata’s plan to appoint retired Supreme Court Judge Lombe Chibesakunda as substantive Chief justice is illegal and will create a constitutional crisis and therefore Members of Parliament and the select committee to be tasked must not endorse another illegality like they did on Director of Public Prosecutions (DPP) Mutembo Nchito, says Political Activist Dante Saunders. And Mr. Saunders has said that the Patriotic Front (PF) government was in a weaker position in its current form as it has lost support from the people on the grassroots. Commenting on the revelations that President Sata was planning to appoint retired Judge Chibesakunda to the position of Chief Justice, Mr. Saunders said that the plan leaves a lot of constitution questions unanswered. He said it was therefore the duty of all Members of Parliament (MP) to stand up and defend the supreme law of the land the constitutional by doing the right thing and not like what happened with the ratification of Director of Public Prosecutions Mutembo Nchito. Mr. Saunders said that he agreed with the Law Association of Zambia (LAZ) guidance on the matter and therefore, there was no need to support another illegality by those in power. “Our MPs will must stand up and recollect the illegality. This will be a huge anomaly and it would continue haunting those that will support it just like the way the ratification of DPP is haunting those that had carpeted issues surrounding him, they must stand up and do justice for the nation,” he said. He said President Sata’s plans were illegal and the people of Zambia were the only people to stop him from continuing with his desire to committee illegalities under his reign. Mr. Saunders has also accused the PF leadership not to have respect for the constitution, adding that President Sata and his government were determine to use the law to fix people they perceive to be their enemies and the planned appointment of Judge Chibesakunda would put to test the justice system of the country. He warned that the PF government and its leaders must know that the people of Zambia and other interest groups were closely watching the maneuver of bringing in people in the judicially using back doors. “We have been watching President Sata so closely using the top brass police officers, political allies, the Director of Public Prosecutions (DPP), the Ministry of Justice and now he wants to hold the judiciary in his hands by appointing Chibesakunda who does not qualify to foster his agenda. We have seen him continue embracing corruption and promoting one party state and he wants to use the justice system,” he said. Mr. Saunders also observed that the PF government was in dare need to use the judiciary to its advantage, adding that the people of Zambia and other good governance activist must stop what he called the reckless behavior of the PF leadership. “I must call upon the church and other stakeholders not to live the fight for good governance to politicians alone, we need to form forces to ensure that what we are being displayed, we need to take moves to avoid the disaster which might follow. We need to stop the PF now. The plan to appoint Madam Chibesakunda is total abuse of the law,” he said. And Mr. Saunders said that the PF was now in a weak position as they have lost support from the peop0leof on the grassroots hence the maneuver to appoint people like Judge Chibesakunda in order to have control on the justice system of the country. He said that the PF was only depending on the top brass police officers, the Electoral Commission of Zambia, DPP, the Anti-Corruption Commission (ACC), the Drug Enforcement Commission (DEC) and some Civil Society whose agenda was detrimental to the democracy of the nation. 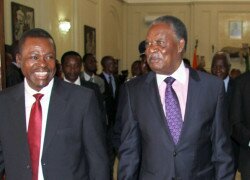 Less than two years in power and talk of impeachment is on the lips of the Zambian people. This must say something about the characteristics and genome of the PF government. Riding rough shod with the people shows a lack of respect of the said people and arrogance of the highest order. Even for a highly malleable mental, its Young’s modulus of elasticity has a break point.